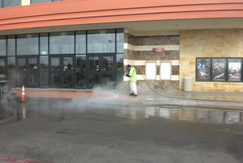 Your best choice for sweeping and exterior maintenance in the Greater Austin and San Antonio areas. Many customers consider exterior cleanliness as important, if not more important than interior cleanliness. With routine sweeping service and maintenance, property management can maximize potential for high volume traffic for their tenants. Quality service and affordable prices is something we pride ourselves in for all of our paying customers, no matter how large or small the job might be. We offer discounts to customers who utilize our services on a weekly, bi-weekly, or monthly basis. Our pressure washing services include much more! 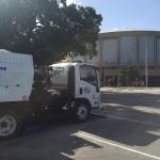 We are the leading property sweeping company in Austin Tx. All of the services we provide are monitored to assure peak performance. Our experienced management team maintains a thorough follow-up procedure designed to maximize employee training and assure consistent, industry-leading results with every sweep. 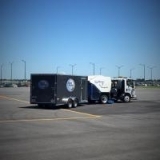 We have the industry’s most reliable Janitorial Service available today. We take pride in ensuring your site is maintained at the highest level of cleanliness. Our on-site day porters ensure your property is well maintained and kept detail clean. Our uniformed teams of professionals are friendly and courteous to the tenants and patrons of your facility. Our Janitorial Services are customized to the needs of your property, no matter how difficult you might make them seem, we make it look easy! and well–trained personnel address cleaning issues as they arise during their shifts, which ensures that proper care will be administered to your property. No matter how small or large your community may be, we offer many services that can be custom tailored to meet your needs.